Sometimes your bedroom and closet can look like a clothing store warehouse. 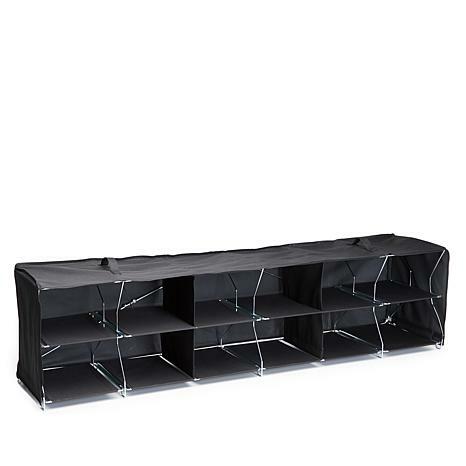 Get organized with this handy storage organizer that's perfect for shoes, handbags, shirts, scarves and more. 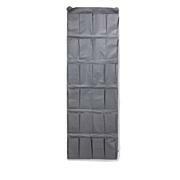 It comes fully assembled and is made of durable non-woven material that makes it sturdy to use in closets and laundry rooms. With the clutter stashed you'll have room to buy more clothes. Back side must be unzipped and flipped over top to collapse unit. Store shoes, handbags, shirts, scarves, etc. 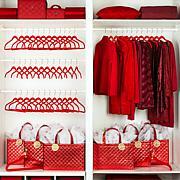 Great for closets, laundry rooms, etc. The origami 12 cube shoe storage is perfect for my shoe needs. It is sturdy and easy to set up. It fit perfectly in my closet. I would definitely recommend it for someone wanting to organize their closets. I had my shoes on one of the shoe organizers with the bars, and my sandals and shoes were forever falling off those bars. Especially wedges never wanted to stay put. 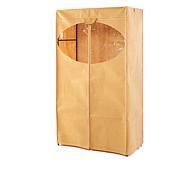 I replace those with this, and am able to stuff those cubbies with multiple pairs, especially sandals. Doesn't solve the problem of TOO MANY SHOES!!! Easy to use with folding system. Heavy duty twill fabric makes this an exceptional item. Well made and designed.